Inside Line needs some Dunlops, 93 octane, and just stand on the accelerator off the line. No brake. I think they might get the car down to 11.4 or 11.5. Pretty quick stock car. The transmission upgrade seems to be a win/win for all. I wonder about those lawsuits now ? This is why I want to wait Sean, especially on a brand new ground up design like this. The more time goes by, the better the car gets. The initial cars was launch hard and abused, but end up to be slower. So they were abused for nothing. 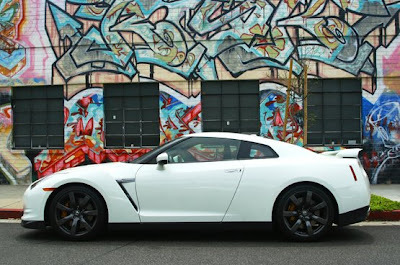 The GTR will always be "the" car for me, I'll have one when the time is right. As cool as the Lexus LF-A is, it doesn't give me the warm fuzzy. The NSX don't seem cool at all.